With the “Web 2.0 revolution” taking over the online world, the word community software is popping up everywhere. Since the term is relatively new, we thought we would clarify its meaning. Community software refers to any software that allows users to interact and share data. 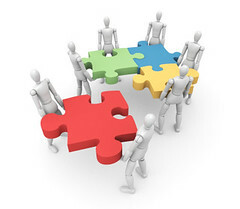 It as also known as social software, collaboration software and groupware. It is usually associated with individuals who are not physically located in the same place, but instead work together online. Community software includes a variety of platforms where users can collaborate; types of community software include social networks, family sites, dating sites and enterprise community software. An emerging concept in the business world, enterprise community software, also known as enterprise 2.0 software and enterprise social software, is quickly being used by many companies. This type of software aims to help employees, customers and partners collaborate, share, and organize information. With community software, organizations can streamline the business process and facilitate communication and collaboration with external parties. What makes community software what they are is that they are rich in communication and interactive tools. Instant messaging, blogs, wikis, discussion forums, and collaborative real-time editors are the most common capabilities. Enterprise community software usually includes these features, plus a combination of tools businesses can use to facilitate and manage their customer relationships and ideas generation process. OneDesk includes all the social collaboration tools mentioned above. It also incorporates social CRM integrations, a comprehensive requirements management tool, a customer feedback application and you can also import Microsoft Project files and continue working on them within. OneDesk’s goal is to make your job easier; this unique enterprise community software connects employees, customers and partners and facilitates the feedback and ideas management process.